I recently returned from a 10 day trip to Ghana where I was visiting a good friend who has been living there for the past year and a half. 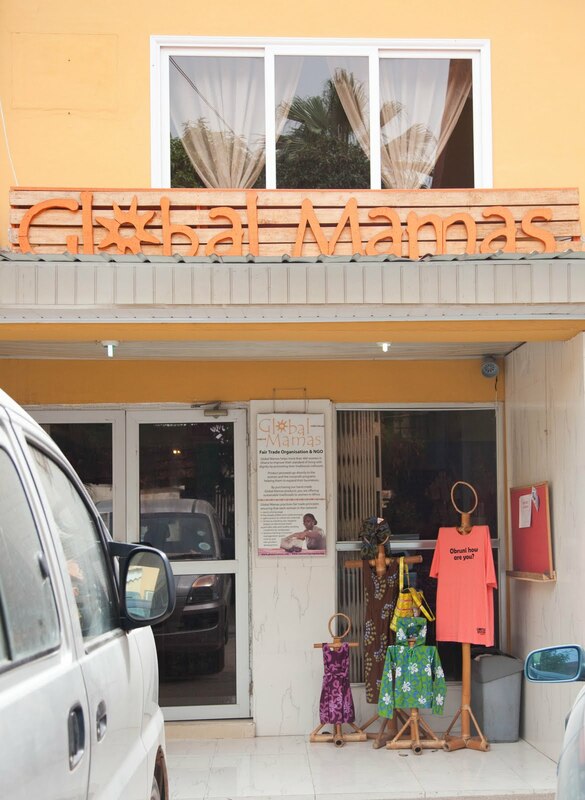 In the heart of Accra (the capital, where she lives) my friend introduced me to Global Mamas, a fair trade, handmade shop selling all kinds of lovely clothes, soaps, and home goods. Their mission statement is "assisting women in Africa to become economically independent by facilitating the production and export of fair trade products." Love it! 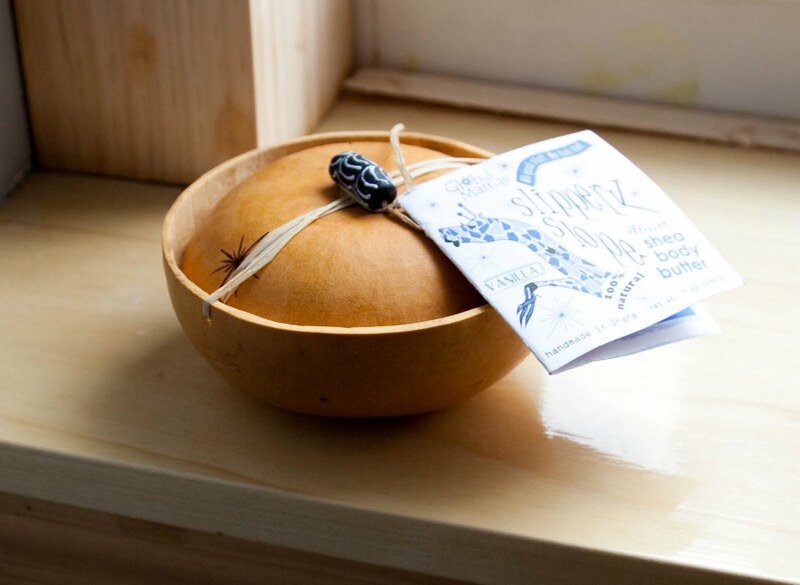 Vanilla shea butter in a dried gourd container. 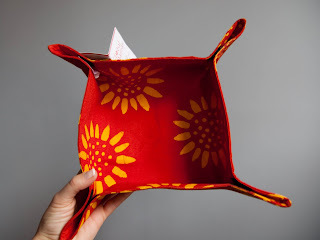 Sturdy cloth basket, I love the sunflower print! The fabric is handmade batik. 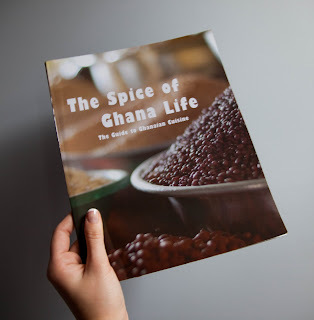 A cookbook of Ghanaian food. 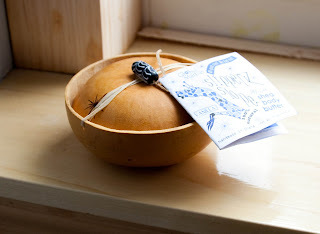 The best one I found in all the stores I looked in AND proceeds go to the Global Mamas organization. Sweet. Can't make it to Ghana yourself? Turns out they have a shop online!